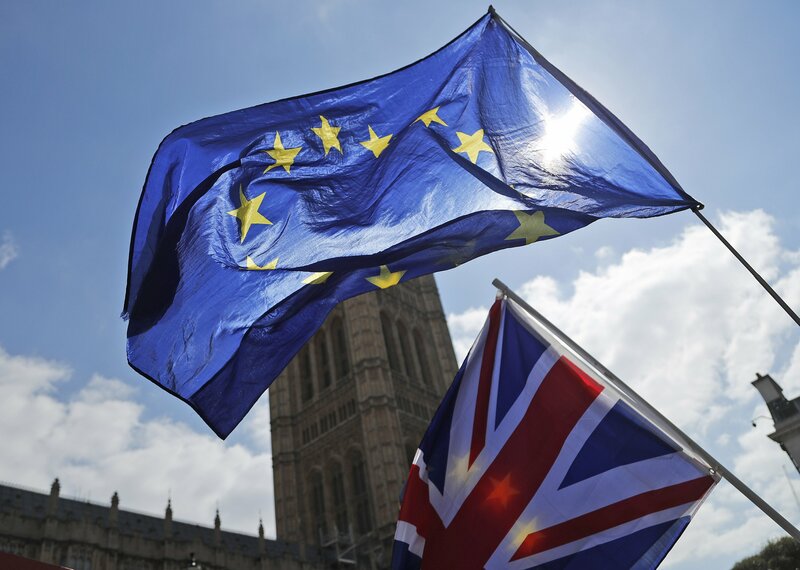 LONDON — Following the decision early Thursday by the European Union to delay the U.K.’s departure for a second time, not much is clear about Brexit bar the certainty that the divisions in British society and in Parliament will remain. The so-called “flextension” until Oct. 31 given to Britain to approve a Brexit withdrawal agreement will require the country to hold elections for the European Parliament on May 23 — provided the withdrawal agreement hasn’t been passed by lawmakers. Few think that’s going to be likely after Prime Minister Theresa May saw the deal she agreed with the EU voted down by lawmakers on three occasions this year. The prime minister addressed the House of Commons Thursday afternoon and urged members to use the upcoming Easter break to “reflect on the decisions that will have to be made” in search of compromise. Labour favors a softer Brexit than the government’s plan and is seeking a close economic relationship with the bloc through a customs union. That’s anathema to many Conservatives, who say it would prevent Britain from striking its own trade deals with countries like the United States, China and India. If the talks fail, May says she will let Parliament vote on a variety of Brexit alternatives, including the government’s proposed deal, in hope something can command a majority. A so-called “soft Brexit” might get through Parliament and would be welcomed by the EU, allowing Britain an orderly departure before Oct. 31. Corbyn, meanwhile, would face rebellion from the large number of Labour lawmakers who want a new referendum on Britain’s departure from the EU. The pressure on May is increasing, with hard-line Brexit supporters criticizing the prime minister for twice begging the EU to delay Britain’s departure and many mainstream Conservatives suggesting she has failed to build consensus. Conservatives hope to avoid such an outcome amid fears the Brexit stalemate will lead to an electoral wipeout that would open the door for what they see as Corbyn’s damaging left-wing policies. Most politicians, economists and business groups think leaving the world’s largest trading bloc without an agreement would be damaging for the EU but disastrous for the U.K. It could lead to tariffs on trade between Britain and the EU, customs checks that could cause gridlock at ports and shortages of essential goods. Many pro-Brexit lawmakers dismiss such warnings and say Britain should be prepared to leave without a deal and then wring concessions from the EU. But Parliament has voted repeatedly to rule out “no-deal,” and even passed a law that forces the government to ask for delay rather than crash out. But a ‘no-deal’ Brexit is still the legal default and could happen if lawmakers fail to reach a compromise and the EU refuses to grant another extension. If that happens the only way to stop Britain crashing out would be for the government to choose the “nuclear option” and revoke the decision to leave. Support is growing for the idea that any Brexit deal agreed by Parliament should be put to the public in a “confirmatory referendum,” with the other option being to stay in the EU. The proposal is backed by many in Labour and other opposition parties, plus some of May’s Conservatives.